It is a great phone, no doubt, especially in that price range. Dual core processor, 4inch screen working out well, although it bugs me that you can't take a screenshot of the screen... without rooting the phone, does anybody have a solution to this? does this phone support 3g video calls? i love that ... i want give it . ALI AAMIR, 19 Jun 2013dear, can any one please help me as my phone dont save any installed application from phone t... moretry "apps to sd" application. can any one please help me as my phone dont save any installed application from phone to SD card. please if some one know i will heartly appreciate. AnonD-133017, 15 Apr 2013Got this mobile 2 weeks ago for 12600 Pakistani rupees, initially had problems with viber but ... morePlease tell me about it overall quality since I'm planning to buy this phone. Is it better than q mobile A10? Is huawei a good company and can you kindly inform me about its pros and cons thanks. If you are in the idea of buying this Ascend Y300, you have chosen the right model. Value for the money we, the budget people, seek is 150% given in this mobile. I have been using this model almost a month and the ratings i would give is a straight 5/5. 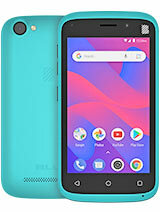 A smartphone from a reliable, reputed and fast-growing manufacturer. Huawei is the world leader in telephone equipments manufacturing sector and they've started manufacturing smartphones too a couple of years ago. This device is from a world leader, and based on my experience, this model is a wonder both in and out. Stylish, slim, weightless, and the latest and best gadget that comes under our budget. Trust me, it is awesome. is there new software update? B190? "Huawei Ascend Y300" or "ZTE Blade III PRO"? my google play store is not working and everytime i opened it,the "unfortunately,the process com.google.process.gapps has stopped" always appearing on my screen... what should i do to fix this..?